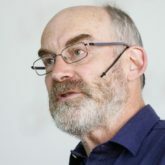 Dave Snowden is the founder and chief scientific officer of Cognitive Edge. His work is international in nature and covers government and industry looking at complex issues relating to strategy, organizational decision making and decision making. He has pioneered a science based approach to organizations drawing on anthropology, neuroscience and complex adaptive systems theory. He is a popular and passionate keynote speaker on a range of subjects, and is well known for his pragmatic cynicism and iconoclastic style. He holds visiting Chairs at the Universities of Pretoria and Hong Kong Polytechnic University as well as a visiting fellowship at the University of Warwick. He is a senior fellow at the Institute of Defense and Strategic Studies at Nanyang University and the Civil Service College in Singapore. His paper with Boone on Leadership was the cover article for the Harvard Business Review in November 2007 and also won the Academy of Management aware for the best practitioner paper in the same year. He has previously won a special award from the Academy for originality in his work on knowledge management. He is a editorial board member of several academic and practitioner journals in the field of knowledge management and is an Editor in Chief of E:CO. In 2006 he was Director of the EPSRC (UK) research program on emergence and in 2007 was appointed to an NSF (US) review panel on complexity science research. He previously worked for IBM where he was a Director of the Institution for Knowledge Management and founded the Cynefin Centre for Organizational Complexity; during that period he was selected by IBM as one of six on-demand thinkers for a world wide advertising campaign. Prior to that he worked in a range of strategic and management roles in the service sector. His company Cognitive Edge exists to integrate academic thinking with practice in organizations throughout the world and operates on a network model working with Academics, Government, Commercial Organizations, NGOs and Independent Consultants. He is also the main designer of the SenseMaker® software suite, originally developed in the field of counter terrorism and now being actively deployed in both Government and Industry to handle issues of impact measurement, customer/employee insight, narrative based knowledge management, strategic foresight and risk management. UNDERSTANDING THE SCIENCE & ART OF SCALING …. Snowden, the creator of the Cynefin framework, subject of an award winning Harvard Business Review article and acknowledged by the Academy of Management as one of the first practical examples of the use of complexity theory in decision support and strategy. Extensively used within the Agile community the Cynefin framework offers a radical new approach to issues of scaling and integrating Agile into the wider organisation; one that can both reduce cost and increase effectiveness. This keynote will introduce the basis sciences, as well as the practice of treating the organisation as a complex adaptive system. It will look at ways in which unarticulated needs can be surfaced to reduce project risk and increase the impact of Agile on the wider business. Practical tools to map culture (and its impact) on a real time basis along with new approaches distributed decision support will be described in the context of seeing IT development as a part of a complex eco-system of social and technical interactions.